How Do I Know If My Org Is Ready for Lightning Experience? Great! 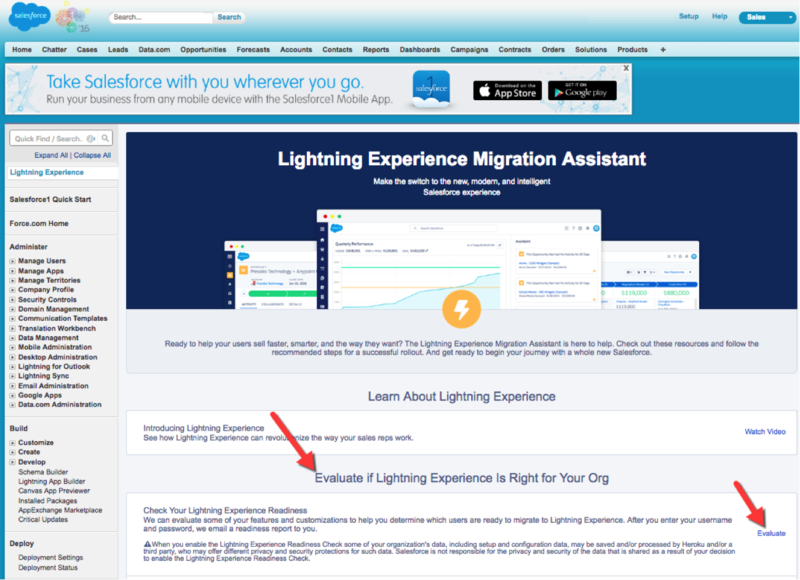 You’ve made it to the Lightning Experience Migration Assistant, which is the place to learn about Lightning Experience and migrate to Lightning Experience. When you’re ready, look under the section entitled “Evaluate if Lightning Experience Is Right for Your Org,” and look for the topic entitled “Check Your Lightning Experience Readiness.” Next to this topic, you’ll see a link called “Evaluate.” Click it! 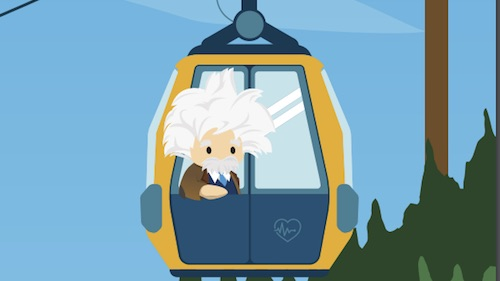 Here’s what happens next: your Salesforce org is automatically evaluated to help you determine if your org is ready to migrate to Lightning Experience. All you need to do is enter your username and password, and we will email a readiness report to you. What Does the Lightning Experience Readiness Report Contain? The Lightning Experience Readiness Report helps admins learn more about what they need to consider as they supercharge their orgs with Lightning. Additionally, based upon what functionality your org currently uses, the Readiness Report will contain recommendations on what you should do next. Keep in mind that your Lightning Experience Readiness Report won’t identify all of the unsupported features and customizations in Lightning Experience, but it will help give you a sense of how ready your unique org is for Lightning. After you run this report and take advantage of the recommendations, give it some time, and run it again! We are constantly updating and improving the readiness check to make your migration as seamless and successful as possible. Use this report as a way to plan your rollout strategy, and share it with your stakeholders to get ready for Lightning Experience. To learn more, read the Lightning Experience Readiness Report.